8th Floor Annexe, Jawahar Vyapar Bhawan, 1, Tolstoy Marg, New Delhi 110001. Walk in Interview on 13-08-2013 at 10:00 a.m. Requires one Junior Engineer for district Kurukshetra. Remuneration: Rs. 11,000/- per month + Rs. 500/-fixed medical allowance. Work of Junior Engineer- to maintain Direct-to-Home (DTH)/Receive Only Terminals (ROTs)/Satellite Interactive Terminals (SITs). and maintenance of Computer Labs situated in various schools. The Council of Scientific and Industrial Research (CSIR) has been issued the notification for Joint CSIR-UGC Test for Junior Research Fellowship & Eligibility for Lectureship (NET) 22.12.2013.December 22, 2013 will be held in Chemical Sciences,Ocean ,Atmospheric ,Earth and Planetary Sciences.Engineering Sciences and Physical Sciences.The examination of some others subjects will be held in the afternoon session. The notification of this test will be available in Employment News dated 27.07.2013 to 02.08.2013. Chaudhary Devi Lal University (CDLU) Sirsa, Haryana is going to start the online counselling process for admission in Bachelor of Education (B.ed.) session 2013-14.The centralized counselling may be start from 05.08.2013 instead of 29.07.2013.The counselling will be made for admission in all related B.ed. colleges of Kurukshetra University Kurukshetra (KUK),Chaudhary Devi Lal University (CDLU) Sirsa and Maharishi Dayanand University (MDU) Rohtak.The prospectus and counselling schedule of B.ed.Online Counselling schedule 2013-13 for regular mode will be issued on or after 05.08.2013 at CDLU official website.These days the university has been waiting of approval from the competent authorities.A notice about this matter uploaded on website. A Grade University declared by NAAC. For Gen.-14 Posts, SC-5 Posts,BC-3 ,SBC-1, PWD-1 Post. Gen.-13 Posts,SC-4 Posts,BC-2 Posts,ESM-1 Post and PWD-01 Post. Gen.-4 Posts ,SC-1 Post. ).Walk in Interview on 04.08.2013 at 3.00 PM. Registration window open from 05.08.2013 to 26.09.2013. Results will be declared on 14.01.2013. Estimated time to complete this registration process: 20-30 minutes. Eligibility for CAT 2013- Bachelor’s Degree, with at least 50% marks [45% for Scheduled Caste and Scheduled Tribe candidates.The candidates should note that the more fullfillment of minimum eligibility criteria will not ensure consideration for shortlisting ny Indian Institutes of Management (IIMs). Reservation of seats-Reservation as per Govt.rules.15% seats are reserved for Schedule Caste candidates,7.5% seats are reserved for Schedule Tribe candidates and 27% seats are reserved for candidates from category Other Backward Class (Non-Creamy Layer).No change in the category will be entertained after the closing date of registration. Assistant Professor of Sugar Engineering in National Sugar Institute,Kanpur for Department of Food and Public Distribution, Ministry of Consumer Affairs, Food and Public Distribution-01 Post. Junior Technical Officer (Sugar Technology) in National Sugar Institute, Kanpur, Department of Food and Public Distribution, Ministry of Consumer Affairs under Food and Public Distribution-02 Posts. Last date for application : 02.09.2013 at 17:30 Hours.Last date for remote area 16.09.2013. Time of Exam : 9:00 AM to 12:00 Noon. Age as on 01.01.2013-18 to 25 years. Date of Interview-29.08.2013. Time of Interview-10:00 AM. Date of Interview-29.08.2013. Time of Interview-11:00 AM. For General-07,for OBC-02 and for SC-01 Post. Essential Qualification-Qualified 10+2 examination with Science. 1.Bachelor of Arts (B.A.) 3 years. 2.Bachelor of Commerce (B.Com.) 3 years. 4. Master of Arts(M.A.) in Political Science,Hindi, Sanskrit,English,Punjabi, Philosophy,Public Administration,History & Economics. 5.Two years Master of Arts in Defence & Strategic Studies. 6. Master of Science (M.Sc.) in Mathematics & Geography (Course duration two years). Online applications are invited for recruitment of Assistant Central Intelligence Officer, Grade-II/Executive in the Intelligence Bureau, (Ministry of Home Affairs), Government of India.Total posts are 750 and the last date for online applications are 12.08.2013. The number of vacancies is provisional and can to change without given any notice. Age-Age as on last date of application-18 to 27 years.Relaxation as per govt. rules. Pay scale-Pay Band-2 Rs. 9300-34800 + Grade Pay 4200. Qualifications-Graduation + Knowledge of Computer. Last date of online application-12.08.2013. Clerk-45 Posts, For General-18,for SC-11,for OBC-16 ,for Physically Handicapped-01,for ESM-04,Total -45 Posts.These recruitment are for Education Department,U.T.Chandigarh. Pay Scale-Rs. 10300- 34800 + 3200 Grade Pay (Rs.13500/-Initial pay). Steno Typist-04 Posts, For General-03,for OBC-01 Post,Total -04 Posts. These recruitment are for Education Department,U.T.Chandigarh. The Director of Elementary Education Haryana Dr.D.Suresh has been issued a list of transfer of JBT Teacher under rationalization today.In this list total 37 JBT Teachers and 67 Guest Teachers are hereby transferred within District Kaithal. According to directions the concern official will be relieved immediately within 3 days otherwise he/she will be liable for disciplinary action.No male teacher be allowed to join in the any girls schools below age of 50 years.No TA/DA will be paid for for shifting/joining.According to guidelines if there is no vacancy or sanctioned post in the school for any reason the incumbent transferred shall re-join his/her previous place of posting and also inform to Head Quarter. Counselors-02 Posts Age-18 to 35 Years. Essential Qualification-M.A in Psychology or M.Sc/M.Ed with Diploma in Counseling. Walk in Interview-01.08.2013 , Time of interview-11:00 AM. Team Member-02 Posts Age-18 to 35 Years. Essential Qualification-Graduation + Knowledge of Computer. Consolidated Salary-As per DC rates equal to Clerk. The Director of Elementary Education Haryana Dr.D.Suresh has been issued a list of JBT Teacher transfer under rationalization today.In this list total 50 JBT Teachers and 52 Guest Teachers are hereby transferred within District Fatehabad. According to directions the concern official will be relieved immediately within 3 days otherwise he/she will be liable for disciplinary action.No male teacher be allowed to join in the any girls schools below age of 50 years.No TA/DA will be paid for for shifting/joining.According to guidelines if there is no vacancy or sanctioned post in the school for any reason the incumbent transferred shall re-join his/her previous place of posting and also inform to Head Quarter. admission between 23.07.2013 to 30.07.2013.The Institute should finalize the list of selected candidates based on the applications received from qualified candidates. For General 254, for SC-36 ,for ST-64, for OBC-104 and for PH 19 and for ESM-45 posts. Pay Scale- Rs 5200-20200+ Rs. 2000/-Grade Pay. Age-18-27 Years.Relaxation as per Govt. rules. Probation Period -The probation period will be two years. Education Qualification -Passed Matriculation from any recognized Board or University. Pattern of Aptitude Test-100 Marks. 25 marks for 25 questions on General knowledge, Reasoning and Analytical Ability. 25 marks for 25 questions of Mathematics. 25 marks for 25 questions of English language. 25 marks for 25 questions of Hindi language. Now the candidates of Haryana Teacher Eligibility Test (HTET) 2012-2013 exam can get photostat copy of their Answer Sheets.The HTET 2013 was held on 25.06.2013 and 26 .06.2013 at various exam centres. It is noted that the Board of School Education Haryana (HBSE) take the decision of supplying the answer sheets for the facility to candidates .This type of decision also applicable for 10th and 10+2 exam from this year.This decision come out before some times after receiving a report produced by committee.The committee was established by Board of School Education Haryana after the order issued by Supreme Court of India.It is noted that in August 2011 Supreme Court ordered that certified copies of answer sheets is public information under the Right to Information (RTI) Act. Last date for online application-28.08.2013 up to 11:59 PM. English-85,Hindi-69,Physics-85,Chemistry-82,Economics-56,Commerce-94,Maths-91,Biology-75,History-34,Geography-39,Computer Science-80 and Bio-Technology-03 Posts. Qualification-Master Degree in concern subject with minimum 50% marks + Be.d.and +Proficiency in teaching in Hindi and English media + Computer Knowledge. The Director of Elementary Education Haryana Dr.D.Suresh has been issued a single list of transfer under rationalization today.In this list total 71 JBT/Head Teachers are hereby transferred/adjusted within District Jhajjar. According to directions the concern official will be relieved immediately within 3 days otherwise he will be liable for disciplinary action.No male teacher below age of 50 years be allowed to join in the any girls school spread in Haryana.No TA/DA will be paid for for shifting/joining.According to guidelines if there is no vacancy or sanctioned post in the school for any reason the incumbent transferred shall re-join his/her previous place of posting and also inform to Head Quarter. How to apply : Apply online between 16.07.2013 to 03.08.2013.No other means/mode of application will be accepted. The Board of School Education Haryana HBSE is has been upload the Answer Keys of Haryana Teacher Eligibility Test (HTET) 2013 exams.Now candidates can check their result by answer keys.It is noted that the HTET 2013 result was declared on today 17.07.2013 at 10:00 AM.These Teacher Eligibility Test exams were held on 25.06.2013 and 26.06.2013 at various exam centres an Haryana and other areas.These exam centres were located in 13 districts of Haryana, Delhi and Chandigarh. Candidates appeared in this exam HTET 2013 had been waiting for a long time for the answer keys.After getting answer keys the candidates can check their position and reason of low marks.These answer keys can help the candidates to evaluate their position. Period of Contract-One year or till regular appointments against these posts are made, whichever is earlier. Qualification-Degree in Science/ Commerce/Arts from a recognised University + 10 years experience. Institution and computer skills are a must. Applications are invited from eligible teachers having minimum 2 years in-service teaching experience in any recognized Govt.-Aided/Private School/Educational Institution in Haryana. Documents required for admission-An attested photo-copy of the Matriculation certificate, Original Migration Certificate,Character Certificate,Six copies of recent coloured photograph, Computer Form,Acknowledgement Cards,Identity Card,Employment Certificate,Two self addressed envelopes,Caste/Handicapped certificate (If applicable). Total Seats-500, For General category-150 and for reserved category-350. Eligibility for First year-: Minimum 50% marks in Bachelor/Master's Degree from a recognized University (Minimum 45% marks in case of SC/ST/Blind/Physically and Visually Handicapped candidates. It is noted that these teacher eligibility exams were held on 25.06.2013 and 26.06.2013 at various exam centres located in 13 districts of Haryana, Delhi and Chandigarh. Candidates appeared in HTET 2013 exam has been waiting their results and answer keys for a long time.By the use of answer keys the candidates will check their position of marks in HTET 2013. The applications with complete bio-data & copy of all testimonials must reach the PI (Principal Investigator) Department of Geophysics,,Kurukshetra University Kurukshetra. Last date -Send your application by speed post or email by 02.08.2013. Post Graduate Teachers (PGT)-Chemistry, Biology, Physics, Maths, Geography, History,Economics, Hindi, English, Commerce, Food Production & Beverage ,IT and Bio-Technology. Trained Graduate Teacher (TGT)-Hindi, SS, English, Science,Maths and Urdu. Age as on 01.07.2013 : Not more than 65 years. Qualification-BA with 50% marks as well as in the concerned subject during all the years of study and B.Ed. Post Graduate Teachers (PGT)- 21,300/-per month. PGT (Food Production & Beverages) - 18,000/-per month. For Trained Graduate Teacher (TGT)- 20,000/- per month. 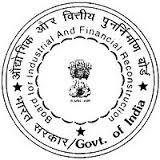 This recruitment for the session 2013-14 out of GOI scheme. Venue of interview-Director’s office of e Regional Institute of English,Chandigarh. Age as on 01.01.2013 -Not above 35 years. Remuneration- Remuneration will be paid as per GOI norms. The number of vacancies can be increased or decreased. Pay Scale-Rs. 10300-34800+3200 Grade Pay. 1. Matric or its equivalent. 2. Diploma in ANM training or vocational course of ANM should be registered as ANM with Nursing Council of State Government. candidates up to 35 years) for appointment by direct recruitment and 5 years for other Govt. Servants. ASI (Operation Theatre Technician) Male & Female : 02 posts,Pay Scale : Pay Band-1 Rs. 5200-20200 +Grade Pay Rs. 2800/-.